This is a super simple card design because the Chickaniddy Crafts patterned papers are the focus here. 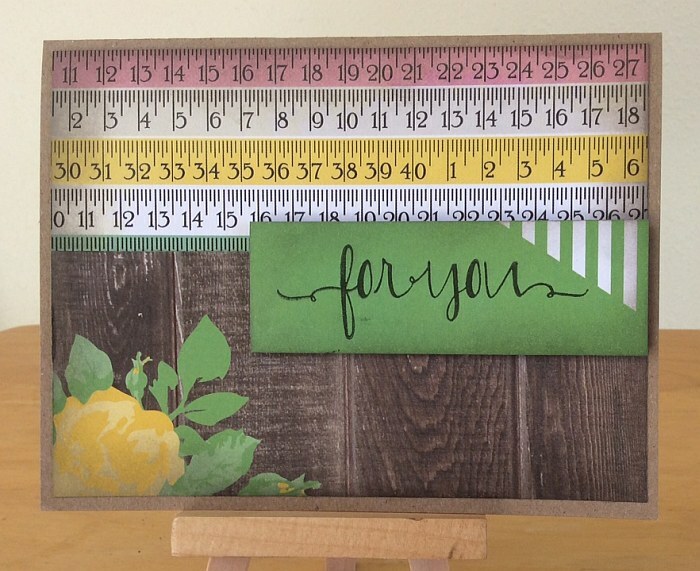 I popped up the sentiment panel with dimensional adhesive and applied Distress inks to blend the edges of each element. Thanks for visiting. 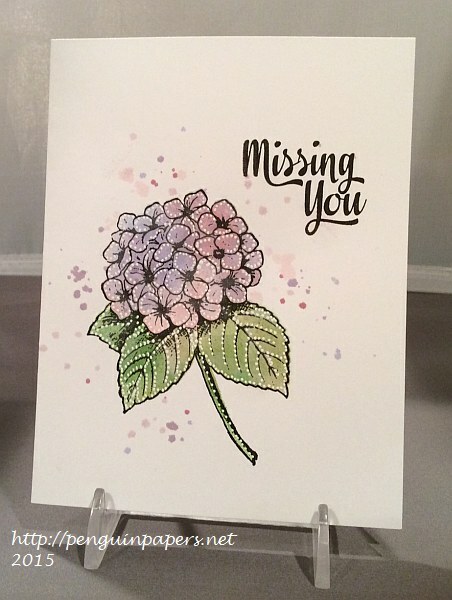 This clean and simple (CAS) card features the hydrangea from a recent Stampers Anonymous stamp and stencil set. The Addicted to CAS Challenge #58 is to be inspired by the code word: Distress. I used Ranger Distress inks through the stencil after I stamped the hydrangea image. I also spattered dilluted Distress ink to tie the elements of the card together and still keep it one layer. I added some stippling with my white Signo pen to provide some texture and pattern to the image. 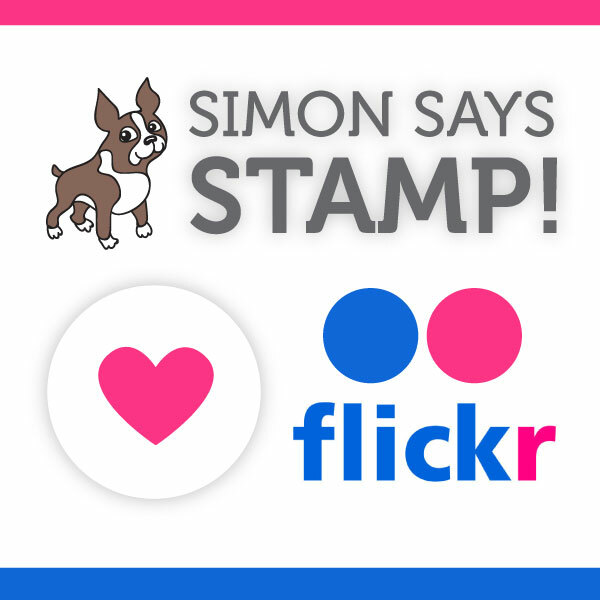 This also fits the bill for the Simon Says Stamp Flickr Group Challenge #14, which is to create a one layer Clean and Simple Card. It is pretty challenging to create a single layer card! This will be a perfect card to send in my Operation Write Home box. Thanks for stopping by. 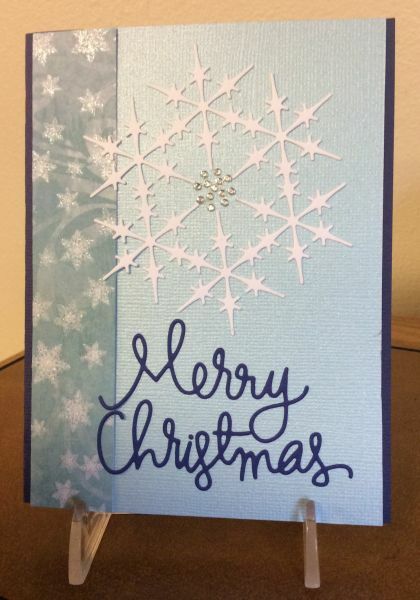 Die cuts and paper are the stars of this card. I used Sketch #314 at Clean & Simple Stamping. 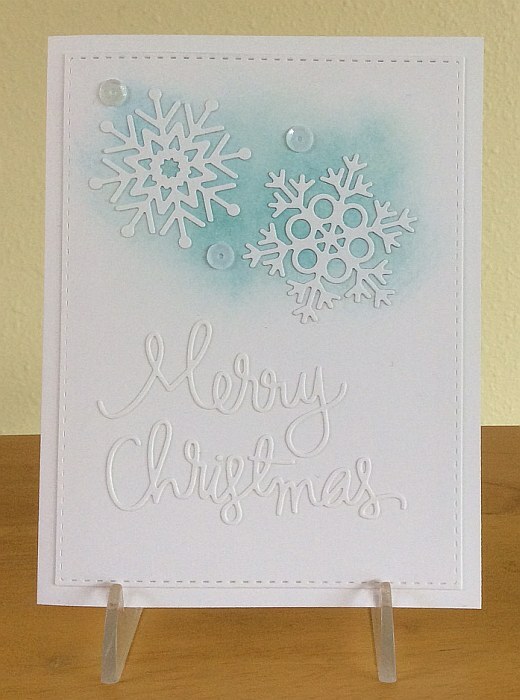 The card has some glimmer and shine in the patterned paper, the cardstock and the gemstone center in the main snowflake. Clean and Simple to be sure! Thanks for visiting. I really enjoyed making this card, partially because of the sheer simplicity of it and also its clean design and color scheme. I used the current sketch at Clean & Simple Stamping (FTL 311). I’ve been hoarding a few rolls of washi tape for a couple of years, so I thought this might be a good time to pull it out. 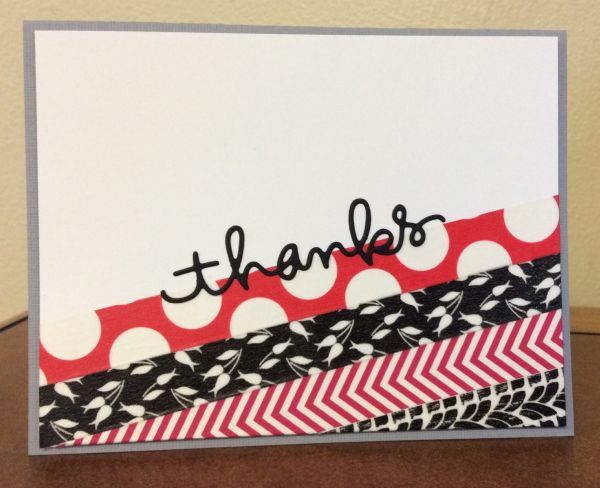 And based on my available stash, the black, white and red color scheme was a no brainer–plus I always like to add grey with those colors, so I mounted my base onto a grey card with dimensional adhesive. The die cut was made with a great new die from Simon Says Stamp. This will be a perfect Operation Write Home card. Thanks for visiting today. 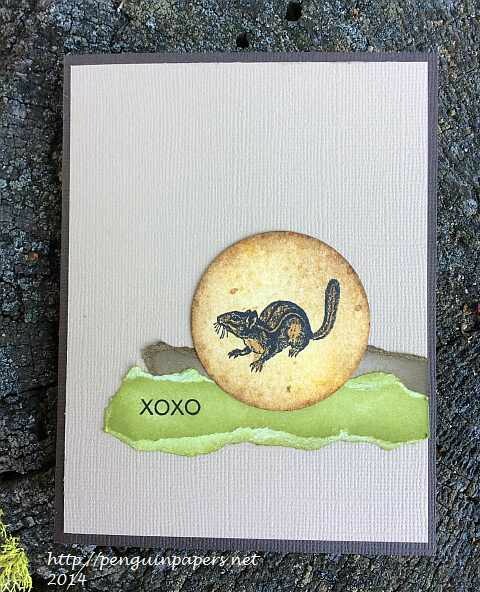 I created this simple card while out among squirrels of this kind. We went camping in Central Oregon and fed our squirrel and chipmunk friends throughout the weekend. I colored the torn cardstock with Distress Inks to match the colors around me and those I used in the chipmunk image. 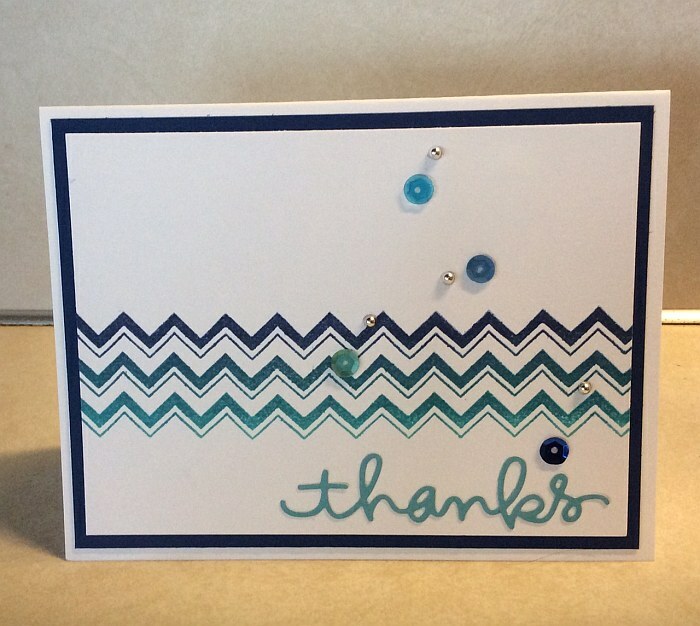 I used the latest sketch at Freshly Made Sketches (#146) when I put this card together. I have been taken with torn paper edges lately–it seemed appropriate to tear and color the accents for a natural feel for this card. Have a great day and thanks for stopping by. 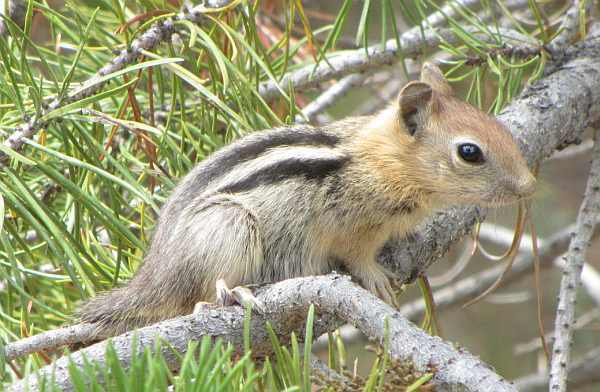 This is a baby Golden Mantled Ground Squirrel. I discovered him hanging out with his sibling and Mom (?) right by our campsite. Mom was begging for nut handouts and sitting on our laps while munching peanuts. The baby was not nearly as brazen! Is it cute or what? ?